"Who ya gonna call?"... Well, to be quite honest, Melissa McCarthy wasn't at the top of my list. Rumoured ever since Paul Feig was officially named as the director of a new Ghostbusters film back in August last year, last week saw the confirmation that Feig's film - now scheduled for release in July 2016 - will be a franchise reboot with a quartet of ladies in the Ghostbuster roles. Since then, the stream of fans decrying the all-female cast has crossed with that of those shouting down any such criticism as sexist, resulting in the total protonic reversal of the internet (that's bad). In all honesty, I do have major concerns about Feig's Ghostbusters, but none of them have anything to do with the four stars named yesterday being women. If this was a James Bond film, for example, where 007 had suddenly become a woman, then the gender of the person cast in the Bond role would certainly play a part in the worries I would undoubtedly have in such a scenario. But, just because the original Ghostbusters were men, there's clearly no reason why new Ghostbusters in a new story couldn't be a team of women. That should go without saying, really, and anyone who does have a problem with the cast simply because they aren't men is indeed taking a wholly misogynistic attitude to the issue. However, the sexism debate has completely overshadowed what I see as justifiable reasons to be genuinely concerned that 2016's Ghostbusters film is likely to be scary for all the wrong reasons. The man sitting in the director's chair for the Ghostbusters reboot has been my biggest bone of contention ever since he was confirmed last summer. 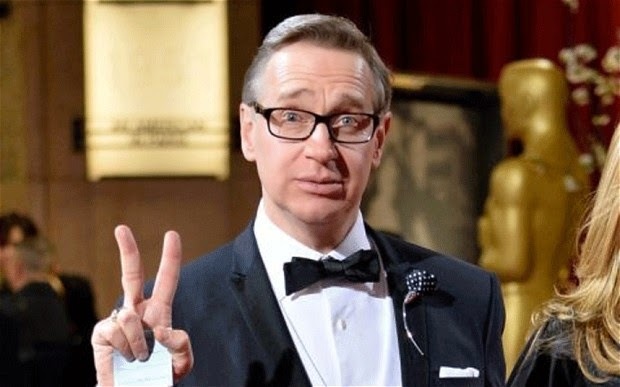 Paul Feig's track record as a feature director is, quite frankly, not great. He is still desperately riding on the success of Bridesmaids four years after its release, a film which was certainly enjoyable but also failed to justify all the hype and attention it received, as evidenced by the fact that it has faded firmly into the background following its moment in the sun at the Oscars in 2012. Prior to Bridesmaids, Feig directed two films - I Am David and Unaccompanied Minors - both of which were critical failures and have since largely entered cinematic oblivion. 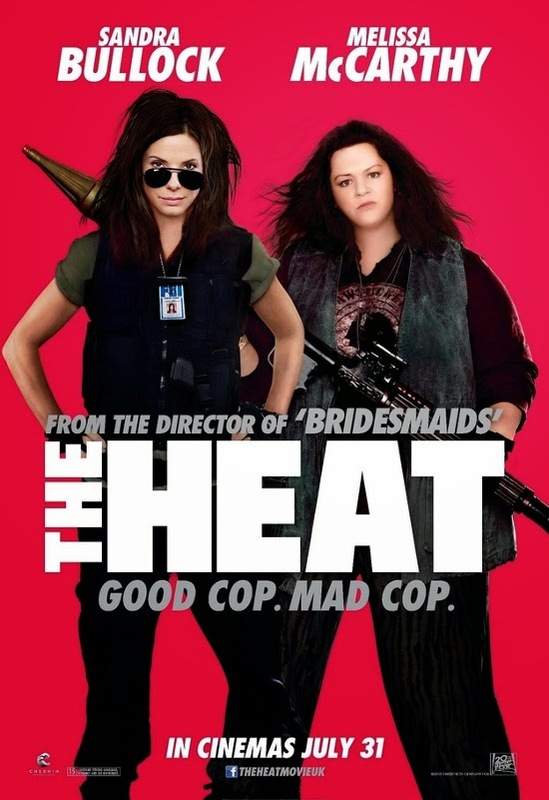 The Heat, Feig's follow-up to Bridesmaids, was an unfunny buddy cop comedy starring Sandra Bullock (unbelievably in the same year as she made Gravity) and Feig favourite Melissa McCarthy (I'll get to her later). Spy, his next project, is another McCarthy vehicle that looks to do for espionage films what The Heat did for the buddy cop subgenre. If the majority of Feig's previous work is anything to go by, his version of Ghostbusters will be wholly derivative and crammed with broad humour, two things both the original Ghostbusters and its sequel avoided completely. To me, Feig comes across as entirely the wrong person for the job, likely to take the franchise and use it to churn out a middle-of-the-road comedy made to please lowest-common-denominator audiences. Give me a Ghostbusters film directed by an exciting, alternative talent such as Edgar Wright or Joe Cornish and I'd at the very least give it a chance. The fact that Feig is also penning the script - an area in which he is largely unproven, with only I Am David and the upcoming Spy on his screenwriting CV - only adds to my concern. That he looks like former Education Secretary Michael Gove doesn't help his case much either, but I'll do my best to overlook that. As I've already said, I have no problem with an all-female Ghostbusters cast. Nor do I have any major issues with three of the four actresses named by Feig as his stars. Kristen Wiig has proven herself to be a mostly dependable comedy performer; Kate McKinnon and Leslie Jones are largely unknown in the UK, so I have no initial reasons to either welcome or criticize their casting (after some brief YouTube based research into both actresses' Saturday Night Live and stand-up comedy careers, McKinnon seems to hold some promise as a character actress and impersonator, but Jones failed to make me laugh, fitting too snugly into Feig's broader, more derivative brand of comedy). However, the fourth cast member, Melissa McCarthy, is someone with whom I do have an issue. Since her breakout role in Bridesmaids, the actress has made a series of unimpressive comedies in which she basically plays minor variations on the same character: an angry, irritating, loudmouth slob who treats other people horribly and gets into "hilarious" physical comedy scenarios (her character on US sitcom Mike & Molly is essentially a PG version of this as well). The only film where McCarthy appears to have gone against this pattern is in last year's St. Vincent, so far the only such anomaly on the actress' CV. Much like Feig, McCarthy doesn't feel right in any way for a Ghostbusters film. The humour in the original movies came largely from the downplayed, intelligent performances of Harold Ramis, Dan Aykroyd and Bill Murray, with Ernie Hudson's everyman there to provide a counterbalance to the scientific awkwardness of the other three. Based on her career so far, there is no evidence that McCarthy will be able to bring such the same type of refinement to her role. Instead, prepare for a Ghostbuster who shouts at everyone all the time, uses the neutrino wand of her proton pack to scratch her arse, and then trips over and gets stuck in the boot of Ecto-1. There are numerous examples of reboots that have worked incredibly well for their respective film franchises; Nolan's Dark Knight trilogy immediately springs to mind, as does Daniel Craig's tenure as James Bond. But both of those have something in common: the franchise in question was arguably at its lowest ebb before the reboot. That doesn't really apply to Ghostbusters, as whilst the second film is (unfairly) held in considerably lower regard than the first, it's not exactly in need of rescuing. It's an argument that's been going on for as long as remakes have been made: if the original is so loved and respected, do we really need this film? There are countless examples of remakes and reboots, particularly in recent years, that have completely failed to replicate the magic of the films they are based on - certainly enough to outnumber by some margin those that have been well received. Even a second sequel, turning the Ghostbusters franchise into a trilogy as Dan Aykroyd long hoped to do, would feel like a better choice than rebooting in this case. And whilst I know that no matter what Feig's film turns out to be, the original Ghostbusters films will still be there, it will still leave a nauseating aftertaste if the director slaps the Ghostbusters label on something that doesn't feel worthy of the name. Quotes like this from Feig worry me in particular: "I love the first one so much I don’t want to do anything to ruin the memory of that. So it just felt like, let’s just restart it because then we can have new dynamics. I want the technology to be even cooler". The fact that he doesn't seem to realise how the ideas within second and third sentences have considerable potential to "ruin the memory" of Ghostbusters, as Feig himself puts it, says it all really. This is largely speculative at the moment, but even the rumour that Bill Murray might take a new role (i.e. not Peter Venkman) in Feig's Ghostbusters has ired me somewhat. Why? Because Murray has for the past twenty-five years been one of the key roadblocks to Dan Aykroyd getting his own idea for a third Ghostbusters movie off the ground. Whilst the truth behind the vehemence of Murray's refusal to participate has varied (a famous story in which he sent a script back to Aykroyd torn to pieces has been denied by Aykroyd himself), his resistance when it came to returning to the franchise was always worn clearly on his sleeve. 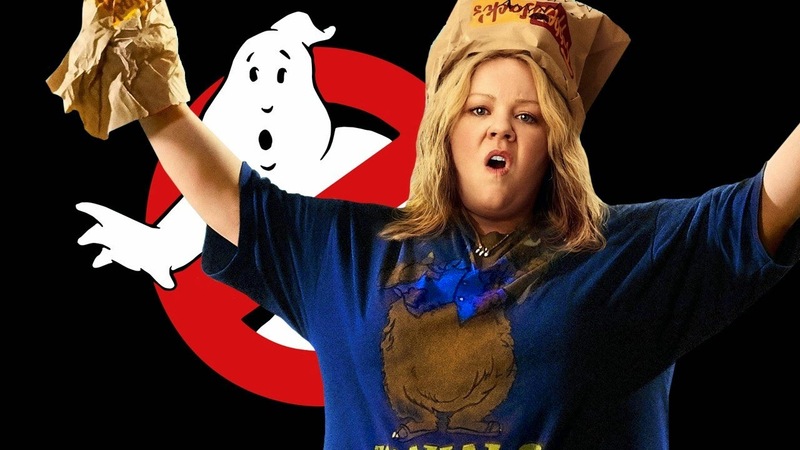 Since Feig's confirmation as director last year, Murray has chosen to become much more positively vocal about a new Ghostbusters movie, even going as far as making his own suggestions for an all-female team. Although Murray's change of attitude seemed uncharacteristic, his choice to speak more openly on the subject is probably less surprising due to Murray's more active film career than that of Dan Aykroyd and Ernie Hudson making him a prime target for his opinions now that the reboot is on the way. However, Murray has now been potentially linked to an antagonistic role in the new film similar to that of Walter Peck in the original. Again, this is only rumoured at the moment, but all too often where there's smoke there's fire. The fact that Murray starred alongside Melissa McCarthy in St. Vincent also makes the actor's rumoured part in Feig's film seem that much more credible. If Murray does take a role in the Ghostbusters reboot, it will feel like a genuine kick in the teeth not only to Aykroyd's lengthy campaign to make Ghostbusters 3 that was thwarted by Murray at every opportunity, but also to the many Ghostbusters fans who have longed to see a sequel featuring the original cast for a quarter of a century. I'm going to take this opportunity to state that I genuinely hope Paul Feig's Ghostbusters both proves me wrong and pleasantly surprises me. As much as I think they will cause problems with the new film, I don't want these issues to come true. Like many other avid Ghostbusters fans, I have longed to see the franchise come back to the big screen. But I would rather see it put to bed for good than have yet another sloppy, sub-par reboot of a beloved franchise churned out by a studio looking for a shortcut to making some money. At the moment, there are sadly just too many factors which suggest that that's exactly what we'll end up getting from the rebooted Ghostbusters in the summer of 2016.